How about a PRIVATE Airbus 380? As far as the media reports, there is one on order as a private jet already! I hope you get a window seat for your first flight. I was disappointed that I did not but it was still a fun flight. I can not wait to hear your report and find out how the Thai interior differs from the Air France I experienced. Window seat... duly noted! I didn't think of that as important at all, but perhaps it would be on this aircraft. Having seen so many images from their - and other airlines - first class, that would be one of my many unattainable dreams, unless I suddenly get hired to be a CEO of a giant size company. OUCH.... a part of flying: but thankfully, not A LOT serious this time. Maybe not the right thread in which to post some virtual plane-spotting, but the general thread in the aviation section Plane Spotters Gallery didn’t quite fit either! Anyway, I had some virtual plane tracking going on in one corner of my computer screen yesterday, and I’m sure you’ll all be pleased to see this particular flight from Oslo had landed at Bangkok Suvarnabhumi airport. 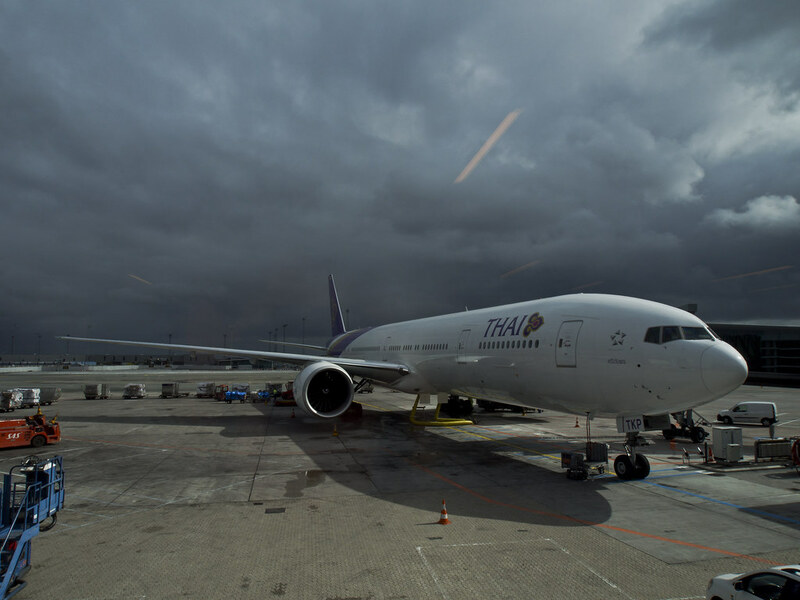 Boeing 777 HS-TJS with the name of Phra Nakhon. 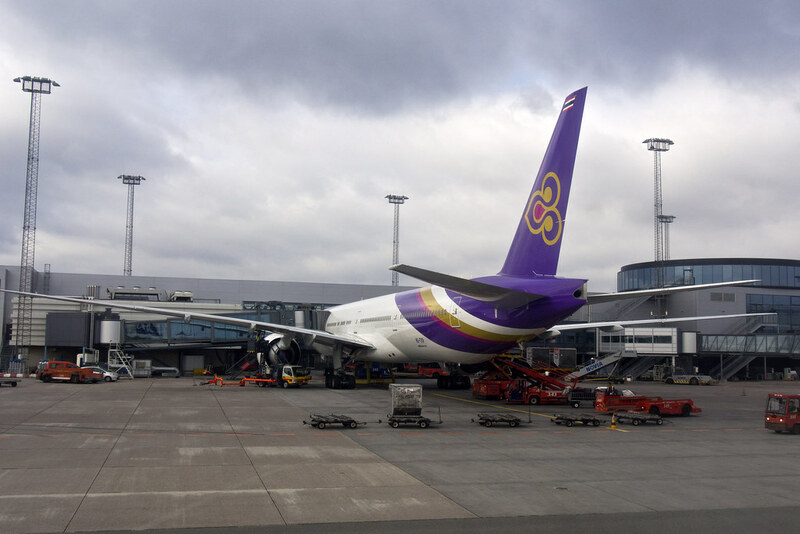 No doubt about it - I love Thai Airways!